Why Triple R Construction Inc. Triple R Construction Inc. is a family run business with 25 years of combined experience in the construction business. Our experience is diverse in a wide variety of fields such as commercial, industrial and residential construction. 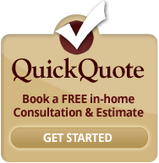 Since starting business in 2012, we have become experts in the residential renovation field. We have built a strong network of sub-trades and suppliers, as well as providing opportunities such as the Red Seal apprenticeship program for students which encourages longevity in the company.